Card topper and gift combined, just add your own cash! Birthday idea for men and teens. 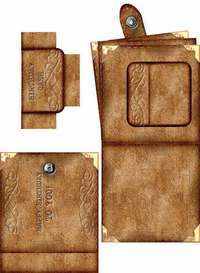 A leather-look wallet with a pocket inside for adding your cash gift. 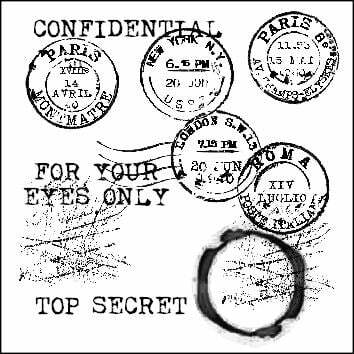 This is an A4 cutting sheet, print as many times as you like, cut out and assemble. 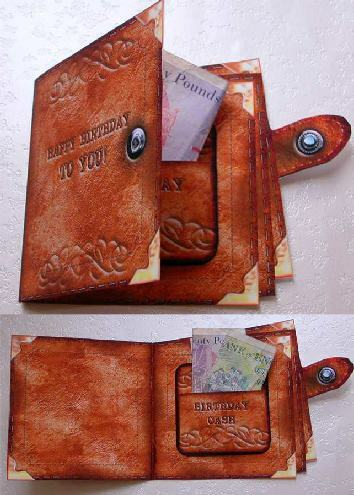 Can be used as a card topper, or as a nice surprise insert inside a card.The text on the front is 'Happy Birthday to you! 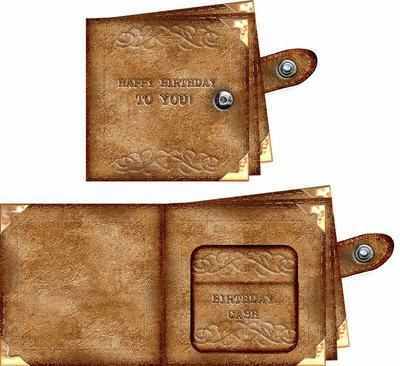 ', the text on the pocket is 'Birthday Cash'. You can easily type a verse or a greeting onto the blank page before printing it out. Easy to assemble, cutting, folding, and some double-sided tape are all you need, comes with instruction sheet. Finished size is 13.5cm a 10.5cm but obviously the images could be resized before printing. This is for personal use and selling your finished items, not for resale as prinouts or as digital items. Below are photos of the kit when made up, showing it open and closed, and the sheet itself.